This October you’ll be traveling with the stars at the Bainbridge Island Public Library! On October 4 from 3-4pm, meet Judy Rantz Willman and Kris Day, daughters of Boys in the Boat Joe Rantz and Chuck Day, for some reminiscing about that 1936 Olympic crew. 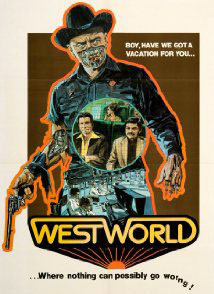 And on October 8 at 7pm, join vacationers Richard Benjamin, James Brolin and Yul Brynner at a futuristic amusement park in the movie Westworld. 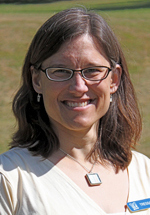 This month’s Ferry Tales will feature NYT Notable Book winner Tatiana Soli’s novel, The Lotus Eaters, and Norm Hollingshead will preview the opera Don Giovanni on October 14. … which is not to say the library has nothing to offer on a more earthy level: John Barutt will be giving a 60 minute workshop on Composting Basics at 1 pm on October 10th. Listen here as the library’s Tressa Johnson and John Fossett offer BCB host Joanna Pyle more tidbits about these and other October library events, or visit http://www.bainbridgepubliclibrary.org/events-calendar.aspx for more information. Credits: BCB host and studio tech: Joanna Pyle; BCB audio editor and composer of “What’s Up” music splash: Tim Bird; BCB ferry music: Dogfish Bay Studios; Podcast art: artopia creative.